Cooking is both an art and a science. In order to get consistent results, you need to make sure your ingredients are properly measured. This is true, especially in baking. You need to make sure you follow the correct measurement of ingredients, otherwise, you could end up with a baked good that is too tough or doesn’t taste right. You can also end up with a flat cake or one that tastes too much like flour. The consistency and the flavor of the food you produce will depend largely on how well you measure your ingredients. Though most cooking recipes usually allow for a margin of error, recipes for baking do not. In fact, that’s what makes baking a hard cooking method to perfect. With baking, you have to be extremely accurate with your measurements. Otherwise, it could lead to ruining the overall quality and flavor of the dish you are baking. One handy kitchen tool you can always rely on for perfect measurements is the measuring spoon. With a reliable set of measuring spoons at your disposal, you will be able to follow strict recipes without committing any mistakes. 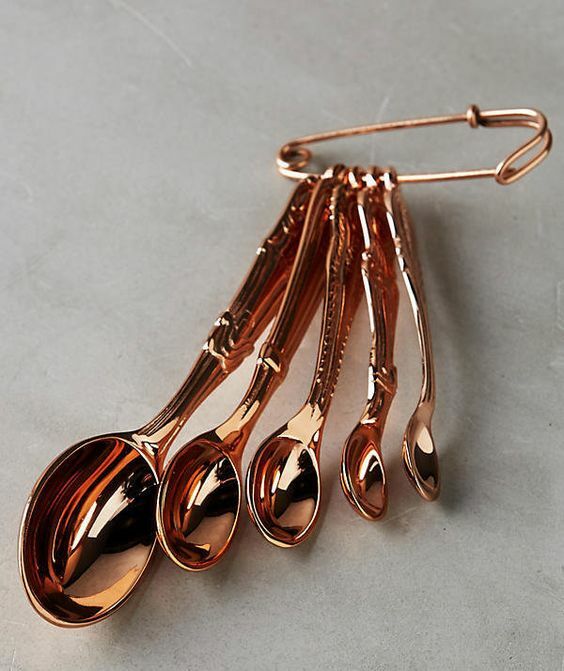 If you want to get yourself a decent measuring spoon set, do continue to read this article as it will cover everything you need to know in order to find the best measuring spoons for your kitchen. We searched for the best ones when it comes to accuracy, quality of materials and beauty. There are some tips and tricks that you can use to ensure that you are using those measuring spoons correctly. How you use those measuring spoons will also depend on the ingredient you are measuring. Flour. Measuring flour is a bit tricky because you need to be precise. It isn’t as forgiving as other ingredients. A lot of people make the mistake of using their measuring cup to scoop out flour straight out of its bag. This increases your chances of over-measuring as you can end up packing the cup with too much flour. What you should do instead is use your measuring spoon to carefully fluff up the flour. After that, use the same measuring spoon to scoop out aerated flour onto the spoon. Fill it up to the desired level and then level the surface using the back of your knife. Granulated Sugar. It’s not as sensitive as flour when it comes to measurements, but you still need to ensure you are measuring correctly, otherwise, you could end up with baked goods that don’t taste great. Use the measuring spoon to scoop out the sugar from the container. Again, you can use your knife to level it out. Brown Sugar. Brown sugar is best packed in a measuring spoon or cup. That means you need to press it down lightly to eliminate the air pockets that are usually in it. This will help you get a more accurate measurement. Leavening Agents. Baking powder and baking soda are leavening agents. Like flour, they also need to be fluffed up with the use of a measuring spoon. If you are measuring using a cup, use your measuring spoon to stir the contents up and then fill your cup with the use of the measuring cup. Level the cup with a knife. 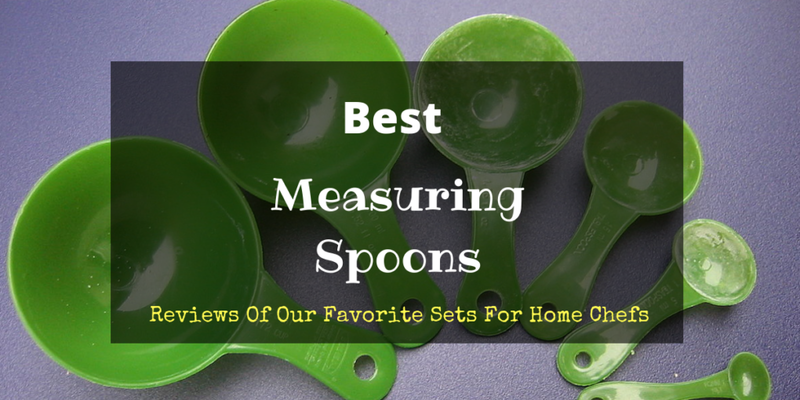 In this article, we'll help you decide the best measuring spoon that is suitable for your needs. Try to look for a measuring spoon with easy-to-read labels. I found that the most convenient ones to use have labels on the handles. Try to avoid going with measuring spoons whose labels are printed because those kinds of labels tend to fade away over time. The more spoons a measuring set comes with, the better. Ideally, a set should come with 6 different spoons with measurements ranging from 1 tablespoon down to an eighth of a tablespoon. Measuring spoons sets can be made from different materials including silicone, stainless steel, and plastic. I suggest you go with stainless steel ones because unlike plastic and silicone measuring spoons, metal ones do not stain or retain odors. They’re also much easier to clean and maintain. 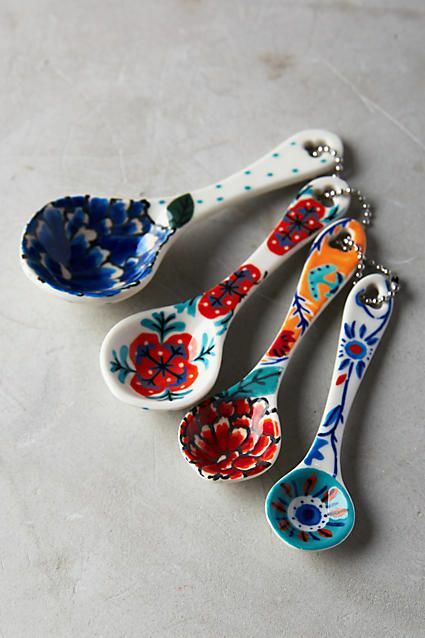 Try to go with a set of measuring spoons that come with an easy to store design. I personally recommend going with a set that is connected together with a hanging loop. 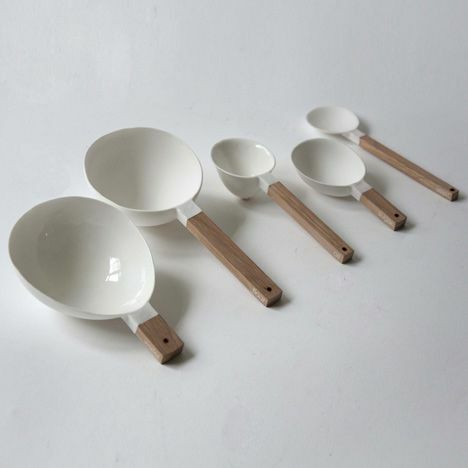 Such measuring spoon sets will allow you to keep hold of each spoon in the set. 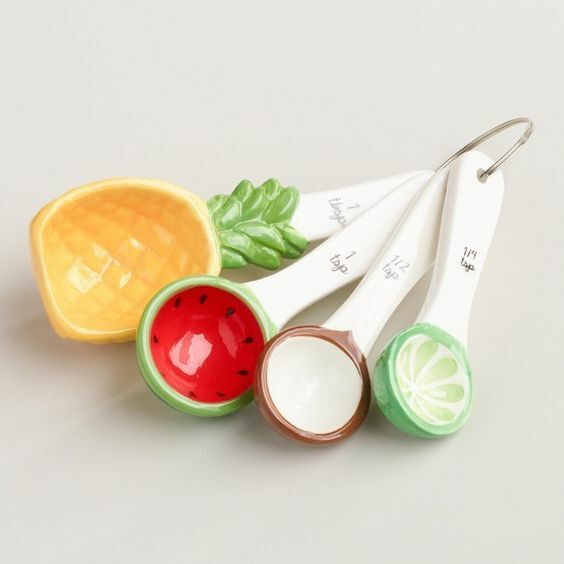 Say goodbye to bland or over-seasoned dishes with this set of measuring spoons. Each spoon in this set is made of highly durable stainless steel material that is rust and stain resistant. It also comes with accurate labels engraved onto its handles, ensuring for complete legibility even after years of use. You won’t have to worry that it will fade away due to wear and tear. This set includes the 6 most used spoon sizes: 1 tablespoon, 1/2 tbsp, 1 teaspoon, 1/2 tsp, 1/4 tsp, and 1/8 tsp. Each spoon comes with an easy and quick level sweep feature that allows for no static cling. This set is also quite easy to clean and store because it is completely dishwasher safe and it comes with a nice hanging ring. You shouldn’t have issues storing it in your kitchen. With the 1Easylife 18/8 Stainless Steel Measuring Spoons, preparing all sorts of dishes will be a lot quicker and more accurate without any hassle. 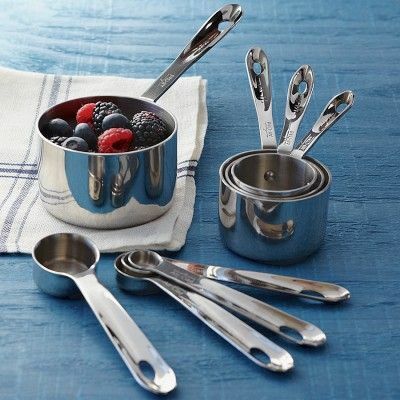 This set comes with 6 spoons made out of 18/8 stainless steel. It has an attractive satin brushed finish that isn’t just attractive but is easy to clean as well. What I like about this set is that each of its spoons come with perfectly weighted handles that are connected with a D-ring for easy switching. Its handles also come with highly legible labels that are engraved on the steel. Measuring dry ingredients is easier with this spoon. You won’t make a big mess because it is easy to handle. This set comes with 6 spoons that are made with a single metal construction that allows it to become a highly durable set. Its stainless steel construction makes it completely rust-proof and bend-proof. Unlike most measuring spoons, this set actually feels like it can be passed down to future generations. It is an heirloom piece you will be happy to have in your kitchen for a long time. What’s more is that this set comes with highly legible labels in both U.S. and Metric measurements. Another interesting feature of this set is its overall design that will allow you to scoop up every ingredient in your spice jars. 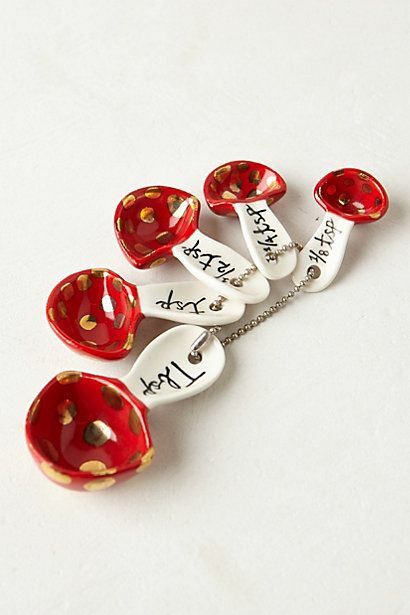 This set is also quite easy to store away since all of the spoons nest together, and are connected with a hanging loop. This measuring spoon set comes with 7 spoons that will provide you with accurate measurements ranging from 1 tablespoon down to ⅛ tablespoon. Each spoon in this set is made with thick 1.2 millimeter stainless steel material that does not rust, stain, bend, or get deformed in any way. Despite being completely durable and sturdy, this set’s spoons are extremely lightweight. What’s more is that this set is completely dishwasher safe. It’s also quite easy to store away since each spoon is connected with a hanging ring. 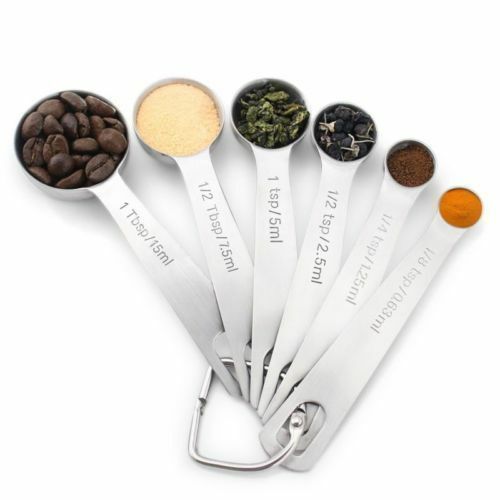 This small measuring spoon set comes with 5 handy spoons that is ideal for measuring small amounts of ingredients. This set can be a great addition to your kitchen or someone else’s because it makes for a really great gift. 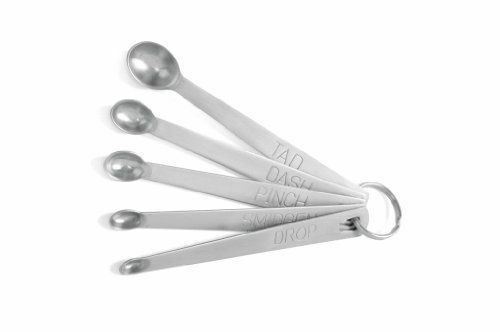 The spoons in this set comes with labels imprinted right on the handles for added convenience. It also comes with a narrow design that will allow you to get every ingredient in your spice jar. This set is also quite easy to clean and store since it is completely dishwasher-safe and it comes with a ring holder that you can use to hang it up in the kitchen. You really can’t go wrong with all these choices. However, if you are looking for one with a good quality and a decent price, the Natizo Stainless Steel Measuring Spoons is a good choice. With its 6 spoons, it is recommended for novice cooks or bakers. Go for the 1Easylife 18/8 Stainless Steel Measuring Spoons if you are looking for something that is easier to use for dry ingredients. The weighted handles are a nice touch as they don’t feel too flimsy and there is no danger of spilling your ingredients. The rounded rectangle shape of the Spring Chef Heavy Duty Stainless Steel Metal Measuring Spoons makes this such a winning choice for professional chefs and avid home cooks looking for a quality and beautiful set of measuring spoons. You can also give this as a housewarming gift or a special occasion gift to someone who loves to cook. Looking for something lighter in weight? 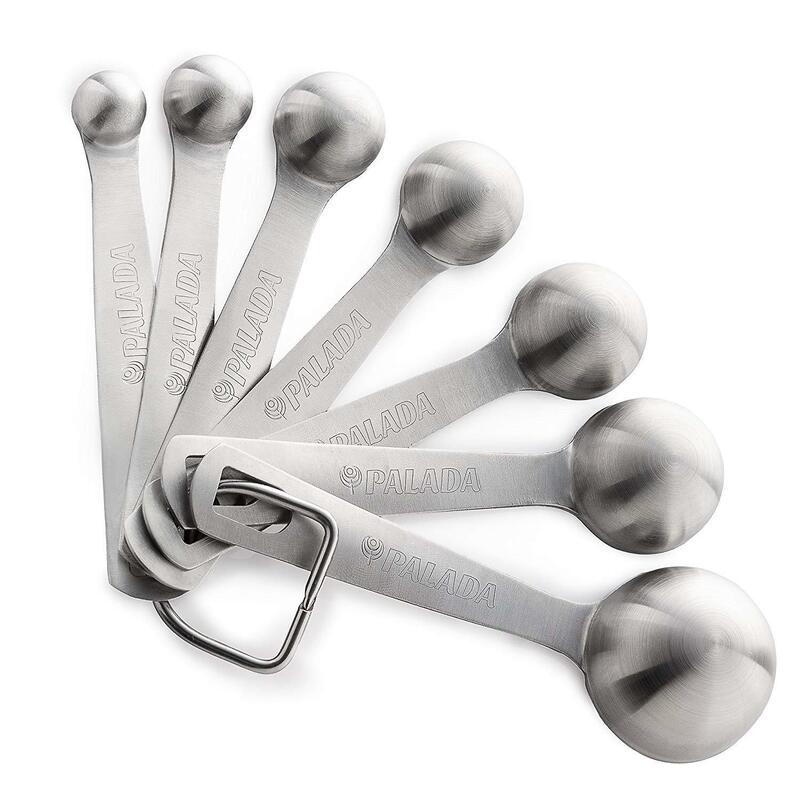 You might want to set your sights on the Palada All in One Set of 7 Measuring Spoons. 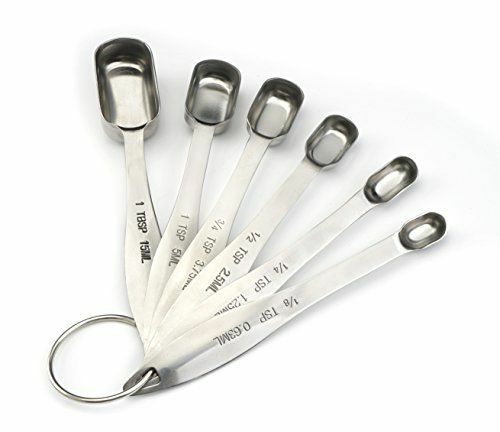 It is a rounded set of measuring spoons that should last you for a long time because it is thicker and feels well-made. All our options for the best measuring spoons are great, but if we were to recommend just one, we think the 1Easylife spoons are best for their stainless steel construction and clear markings. If you are only using it for smaller measurements, get the Norpro Mini Stainless Steel Measuring Spoons. It has an interesting way of measuring as it comes with words such as pinch, drop and dash, instead of the usual measurement units and numbers. 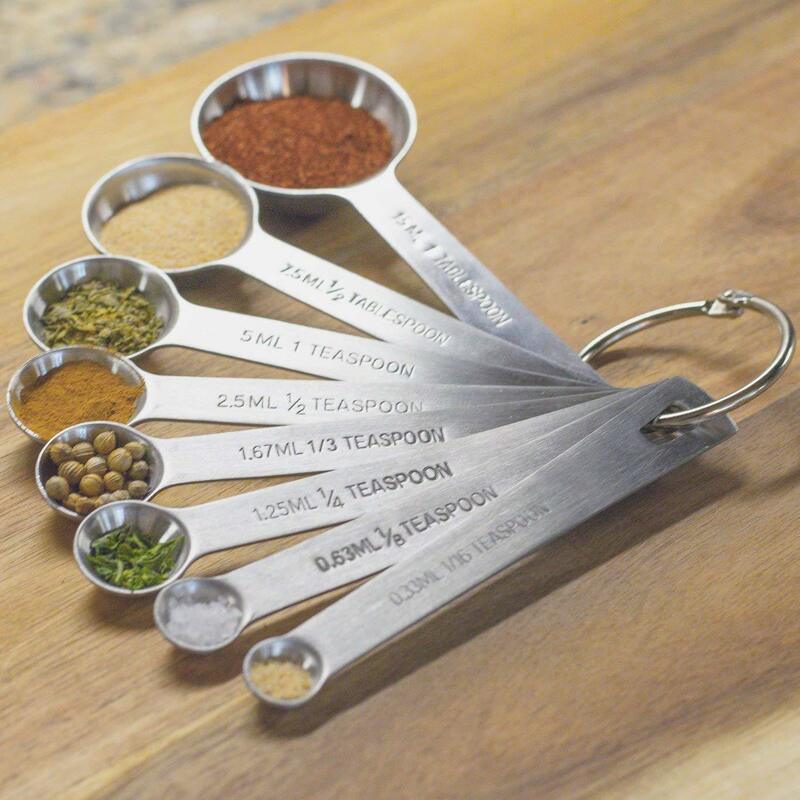 It can actually be a great second set of measuring spoon – a great tool for cooking but not so much for baking. Have you finally decided on which one to get? Just make sure you pick those that are easy to use, are stackable and can be an all-around tool in your kitchen. We also recommend heading to our homepage to read more product reviews and recommendations. There are so many other tools you can add to your kitchen that will increase your efficiency and ensure that you whip up your favorite dishes with ease. Read our buying guides as well to ensure that you are making the best buying decision.